These days everything can be controlled by technology. You can adjust your heat, even when outside your house. You can set automatic lights to make an empty house look occupied. You can even turn on a cooling fan remotely. So why not your blinds? Did you know you could lower your blinds at home in Massachusetts while enjoying a relaxing vacation in Florida? 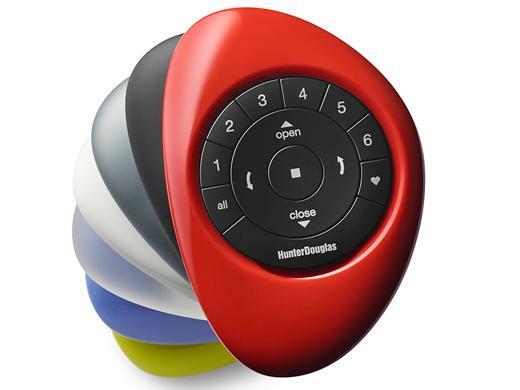 With today’s newest advances in motorization, it is possible to sync your blinds with anything from a wall remote to a handheld controller to your personal device, be it phone or tablet. Today I attended an amazing seminar by Hunter Douglas, learning the ins and out of window blinds motorization, and I’m really excited to share my new knowledge with you. So read on and enjoy seeing how this new technology brings about intelligent shades that simplify your life. What are the benefits of switching to motorized blinds and shades? 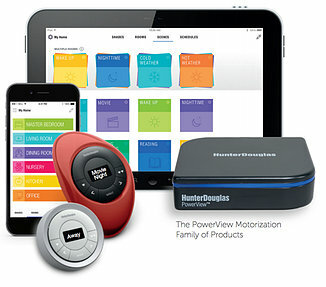 Start with a PowerView Pebble, the handheld control and entry point for the entire system. Both elegant and simple, it is the perfect union of form and function to operate your shades on command without lifting more than a finger. Prefer a convenient fixed location to operate your shades? Simply opt for the Surface Remote which has all the same features as the Pebble Remote, only it remains solidly fixed to the wall. Explore direct control from your phone or tablet. Activate the PowerView App, and enjoy sending shades to specific positions and levels with a swipe of the finger. Simply create Rooms on the app, add your shades, and make a selection, adjusting one or even all of your shades with ease. 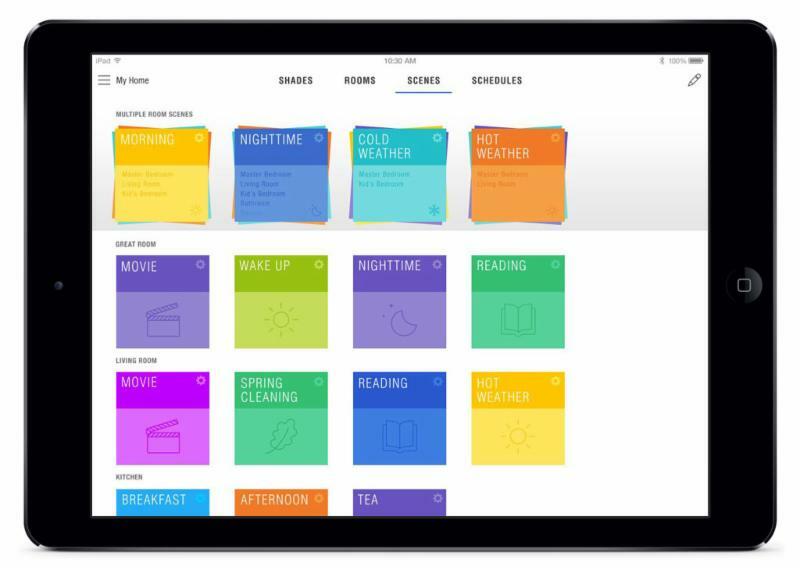 Set your Scenes and decide which Rooms you want operating independently or in total synchronization, from raising the bedroom and kitchen shades in the morning to adjusting the living room shades in the afternoon to lowering all the blinds in the entire house at night. The choice is yours. Individual Rooms and Multiple Room Scenes can be controlled to activate a host of movement throughout the house with a single press. Enjoy RemoteConnect which allows you to activate Scenes from anywhere in the world via your phone or tablet on the PowerView App. RemoteConnect works through a secure Hunter Douglas server to keep your home safe and protected. 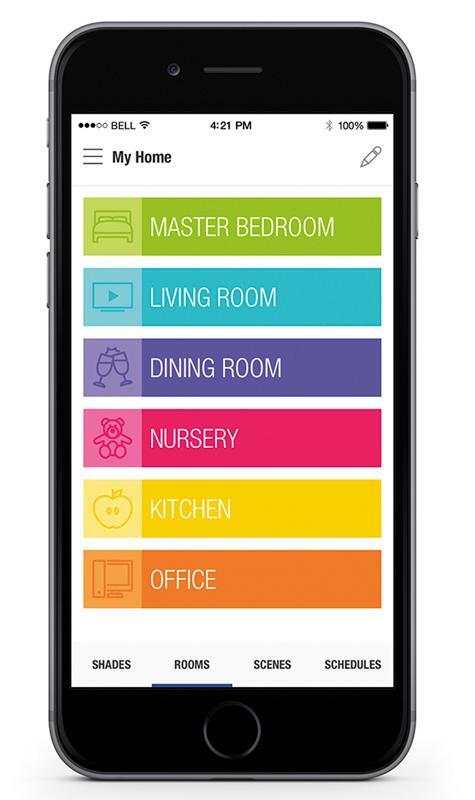 Take control of your home like never before and let intelligent shades simplify your life.